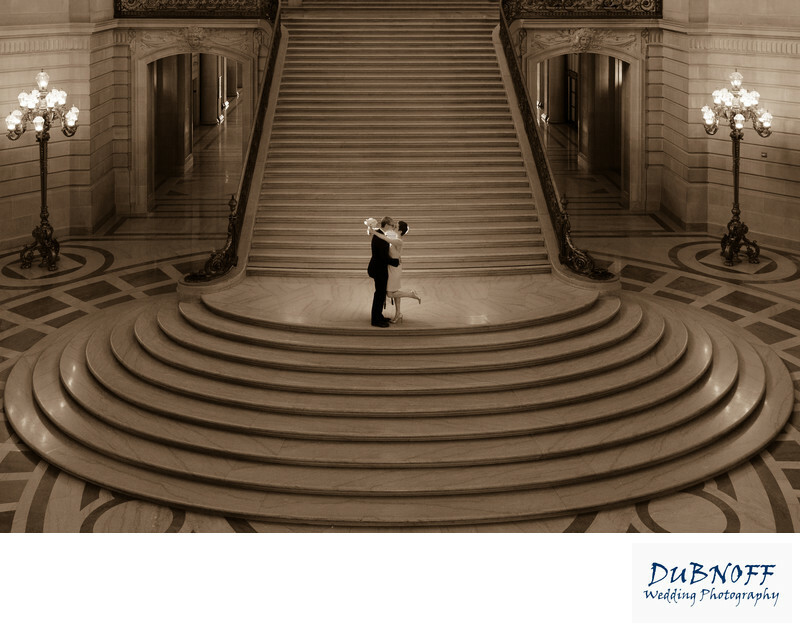 We are professional San Francisco city hall wedding photographers and have been since the year 2011. The image above was created over 7 years ago of a beautiful couple posing on the Grand Staircase. This amazing piece of architecture remains one of the main draws for couples wanting to have their ceremony in this historic building. We make sure our wedding photography captures not only the romance between the couple, but also the beauty of this incredible Venue.